Halfaker and Associates is a rapidly growing technology solutions provider. In order to accommodate their high growth rate, expanding into an adjacent vacant suite was necessary. 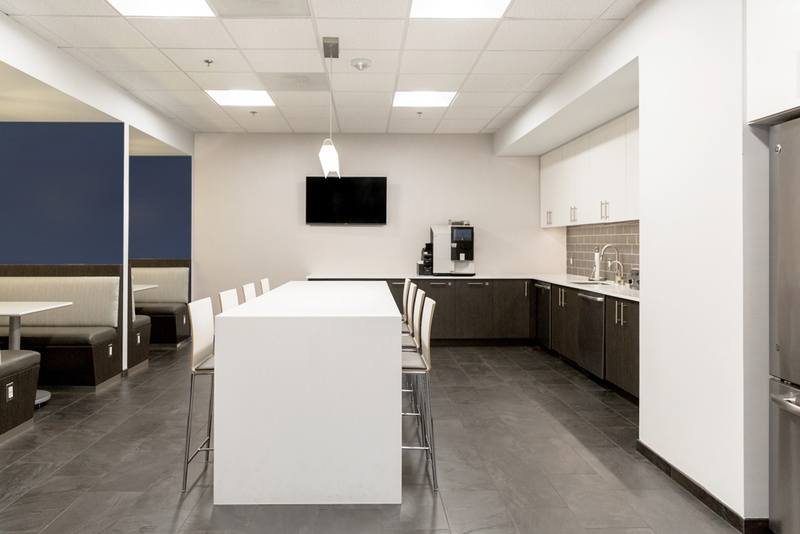 Their expansion of 6,200 SF brought their total footprint to 13,400 SF. 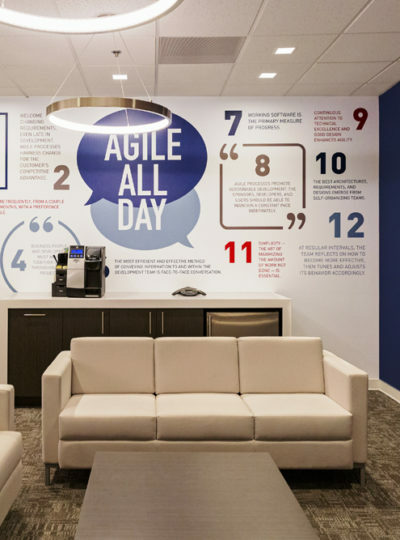 Voted one of Washington Post’s top work places, creating an environment that was not only efficient and engaging, but also one the staff could take pride in was a key element. 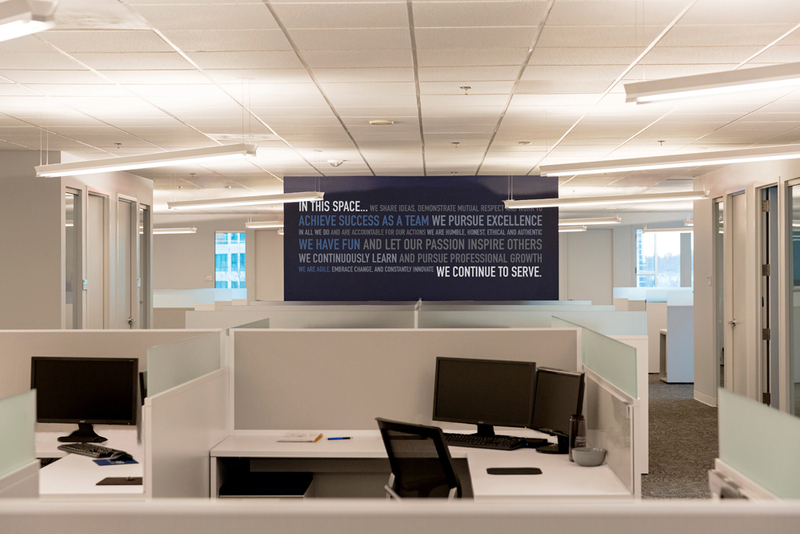 It was important for Halfaker to have multi-level spaces that include a mix of open spaces for collaboration, as well as private, heads down areas. The main design aesthetic was to utilize materials and finishes to create a clean, timeless look. In addition to the expansion, modifications and upgrades were made to their existing suite. The reception was enlarged and reconfigured to include all new lighting, finishes, and millwork, anchored by a textured wall panel. 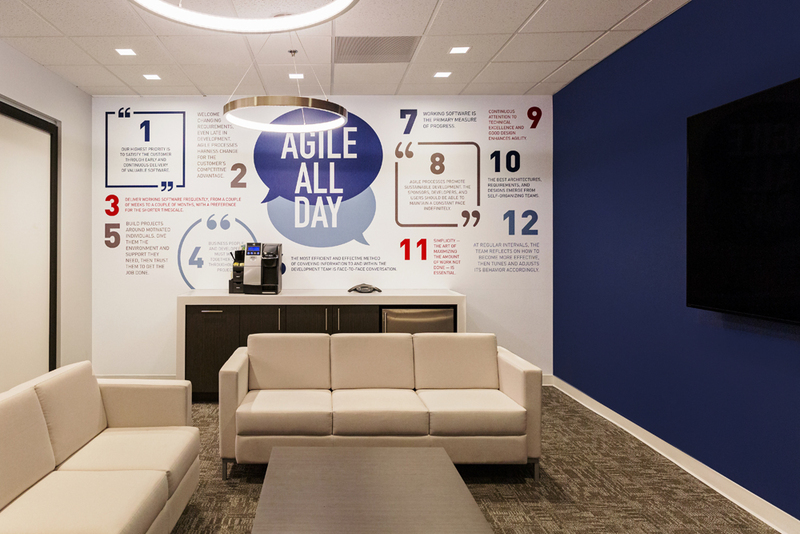 Graphic walls were dispersed throughout conveying Halfaker’s core values. The new main galley includes custom banquettes that are open to both the galley and open work area, helping to foster open collaboration and multi-usage. 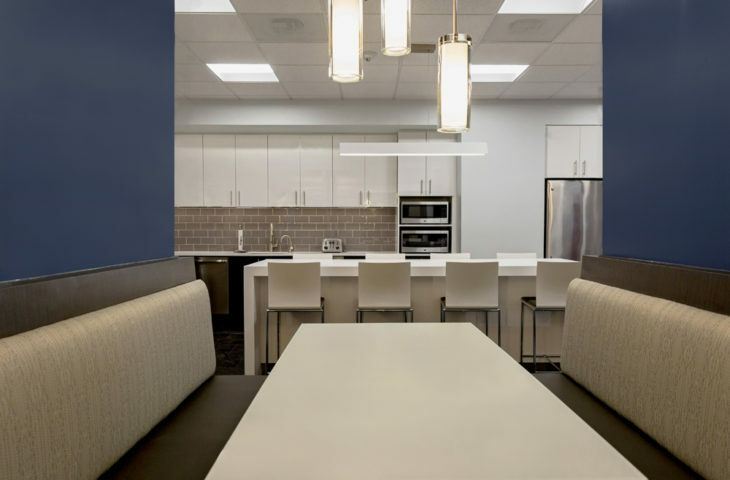 A large island in the center, anchors the space and creates another informal meeting area. 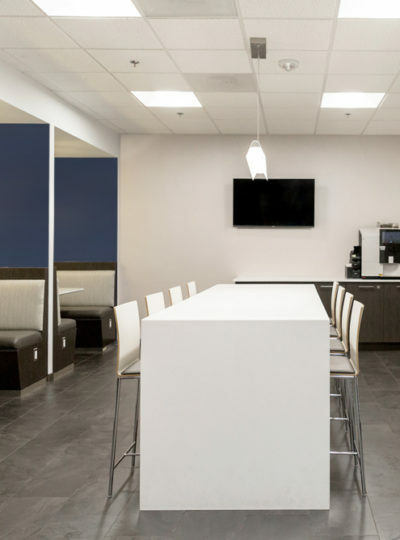 A demonstration room with sliding marker board walls and lounge style furniture was incorporated to serve as meeting and collaboration space for employees.